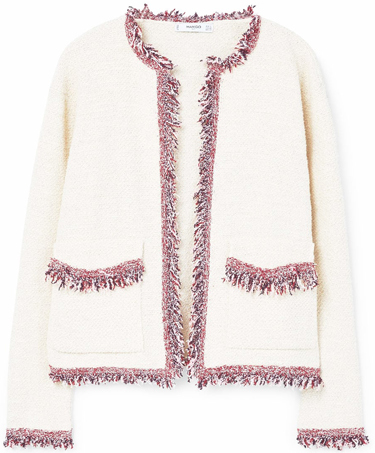 Frayed edges give this cotton cardigan a chic Chanel-like vibe. 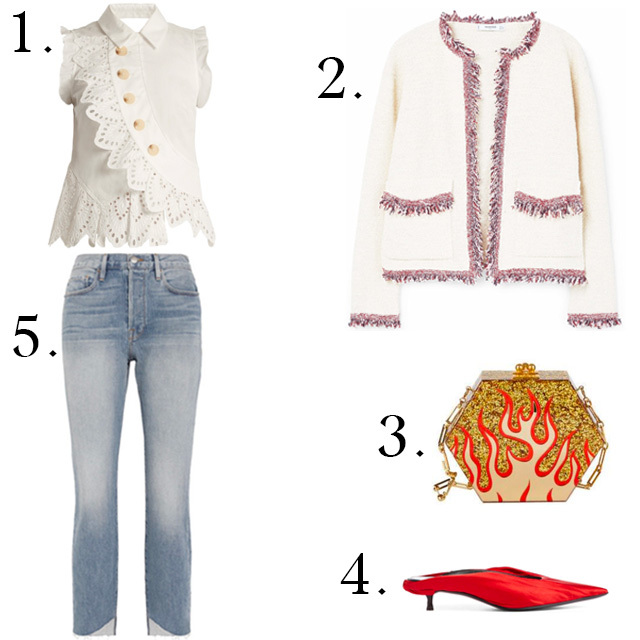 It's great to see that Mango is following Zara's strategy of releasing Chanel-like blazers and jackets! Many more options for us who cannot afford a Chanel jacket!